Garry was born southwest of Alliance, Ne a long time ago. He grew up on a ranch in the Panhandle of good ole Nebraska. He owned a ranch and took care of cattle for over thirty years. His wife Jo Ellen, son Kyle, daughter Kathy, and grandson Kel are his biggest loves, but he has always had a passion for art. Garry has been an artist nearly all his life. 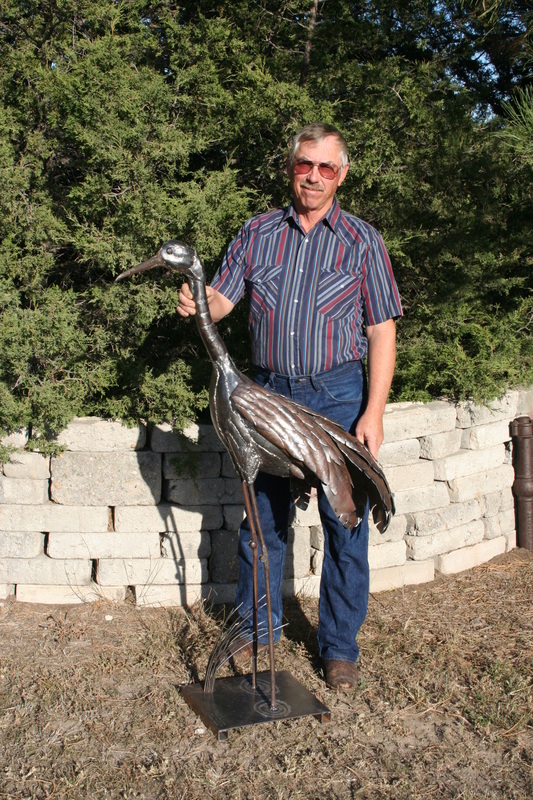 He paints, carves, builds furniture and even designed and built his house but his true calling is welding metal sculptures. Garry has visited over hundreds of junk piles in Nebraska, Arizona, Wyoming and Wisconsin to preserve history in his artwork. If you can't find Garry at an art show or in Quartzite, you are sure to find him in the Sandhills of Nebraska, creating and preserving some of lifes greatest things.